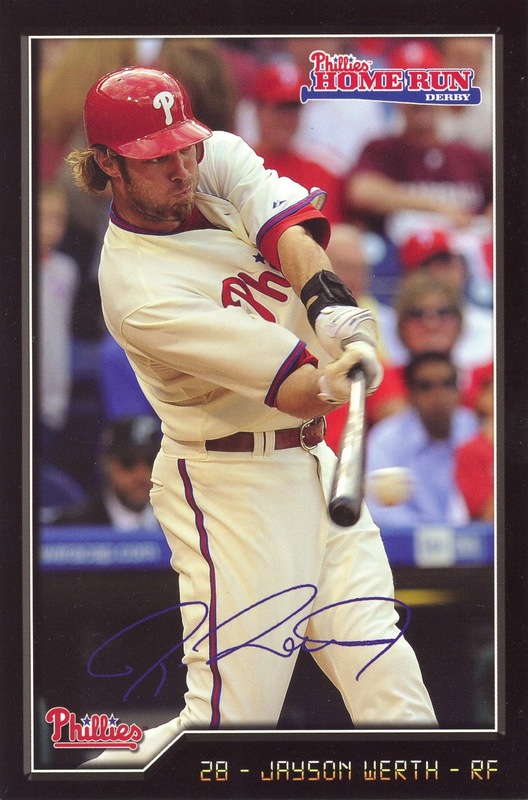 Last week I wrote about my desire to see more Phillies autograph cards featuring Curt Schilling or Jim Thome. 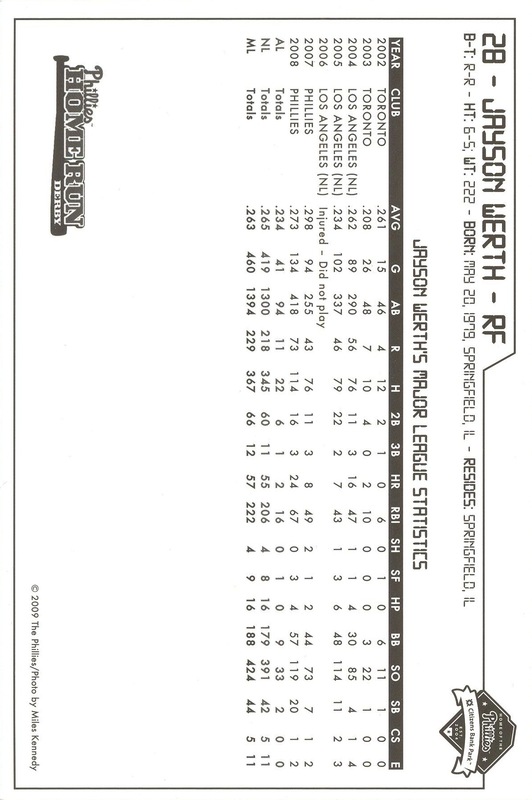 There’s one name I’d like to add to that short list: Jayson Werth. Unfortunately, given that he’s still active and with the Nationals, there’s no additional Phillies autograph cards in the foreseeable future. 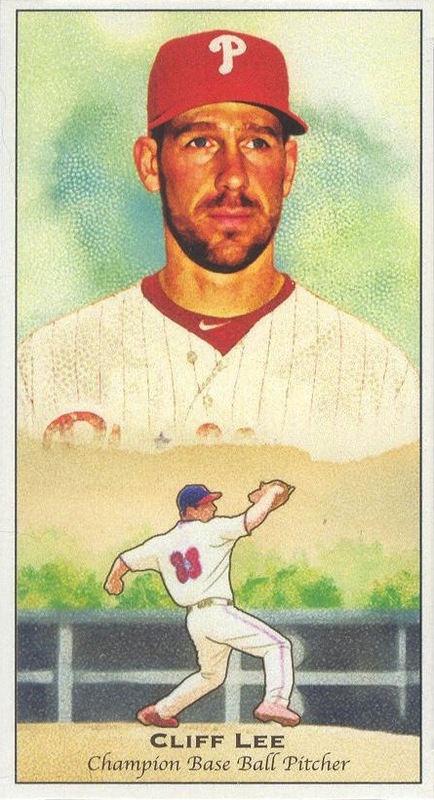 When he does retire, I suppose there’s a chance we might see a few such cards once again picturing him with the Phillies, but I just don’t see much chance of that happening. 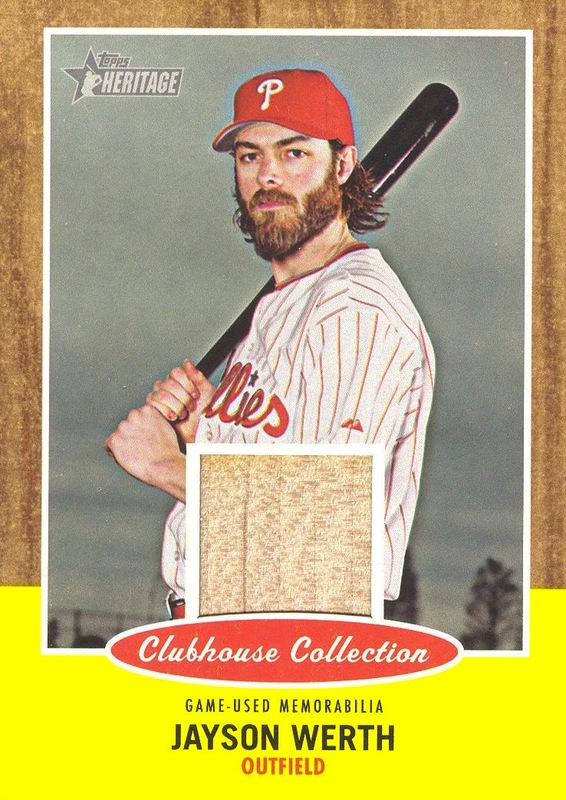 It’s rather amazing how few easily attainable autograph cards there are from Werth’s time with the Phils. 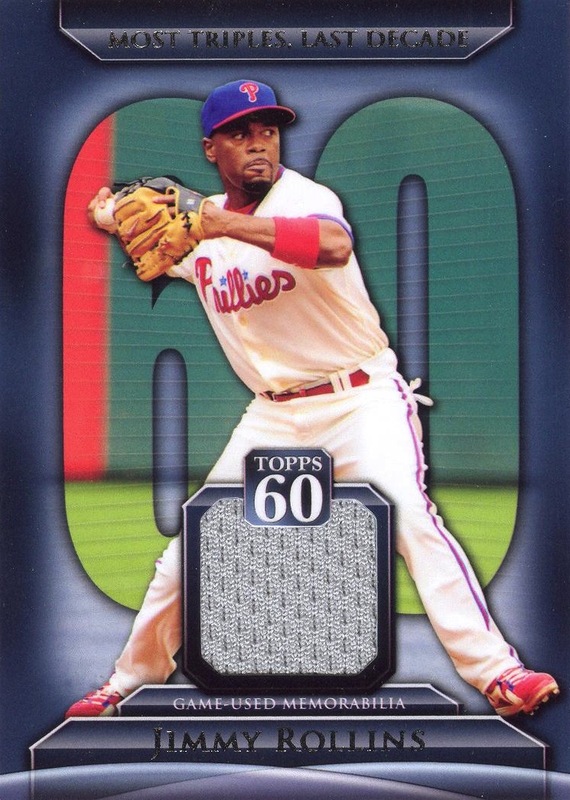 Mind you, there are plenty of certified autograph cards out there if you don’t mind picking one up from his days as a prospect bouncing around Blue Jays, Orioles and Dodgers organizations, but if you’re like me and only collect Phillies cards then your options are fairly limited. 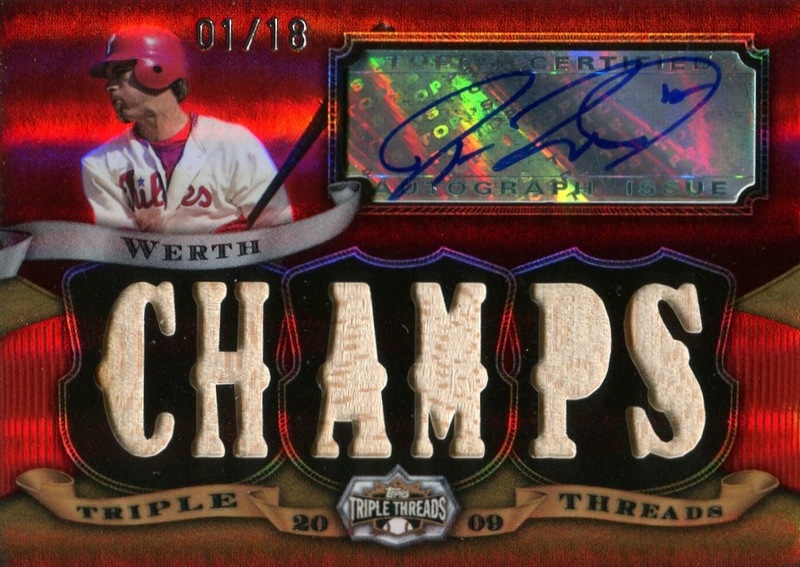 Outside of possibly his 2007 Elements Elemental Autographs card (for which there was no stated print run), all of Werth’s Phillies autograph cards bear rather limited print runs. I’ve managed to acquire four of them, including the Elemental Autographs, but chances of my picking up any additional ones are pretty slim. 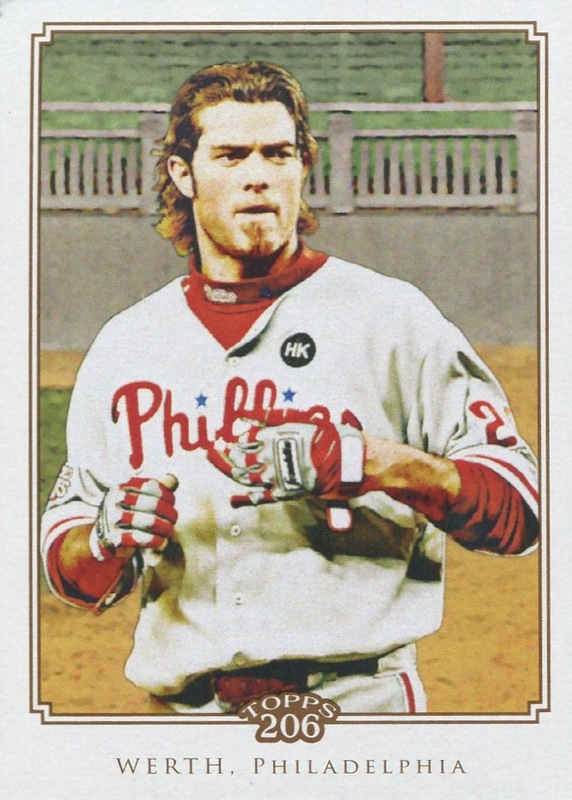 One final note: I’ve never understood the animosity displayed by a portion of the Phillies towards Werth since his signing with the Nationals. The Phillies made it very clear that they weren’t interested in bringing him back at the price he was asking, and then the Nats came along and offered significantly more than he wanted from the Phillies. I just guess there’s an mentality to being a “true fan” I never properly developed. 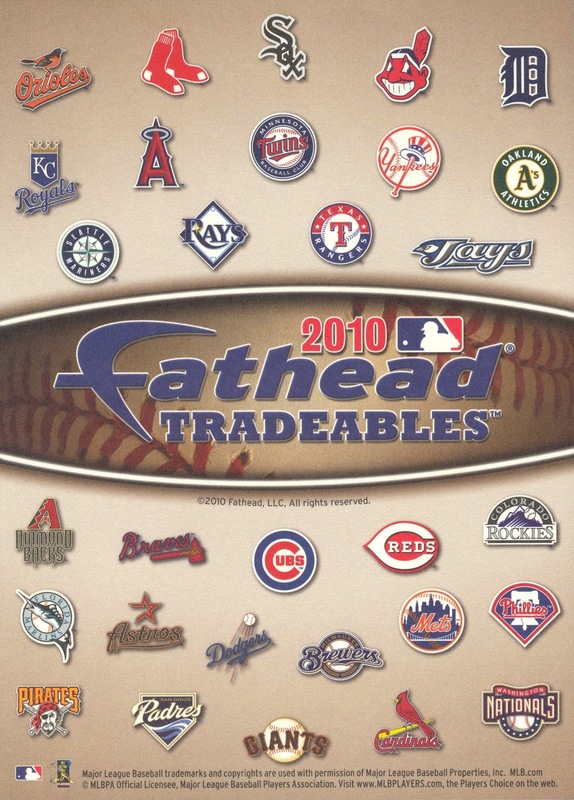 Additional Information: This set marks the second year that Fathead marketed its Tradeables line. Like their larger predecessors, the Tradeables were designed to be pealed from the backing and applied to walls, windows and other locations for decorative purposes. The peel-offs were issued in packs of five for $9.99. In addition, Fathead also packaged and sold complete team sets. The backing is identical for all the cards. 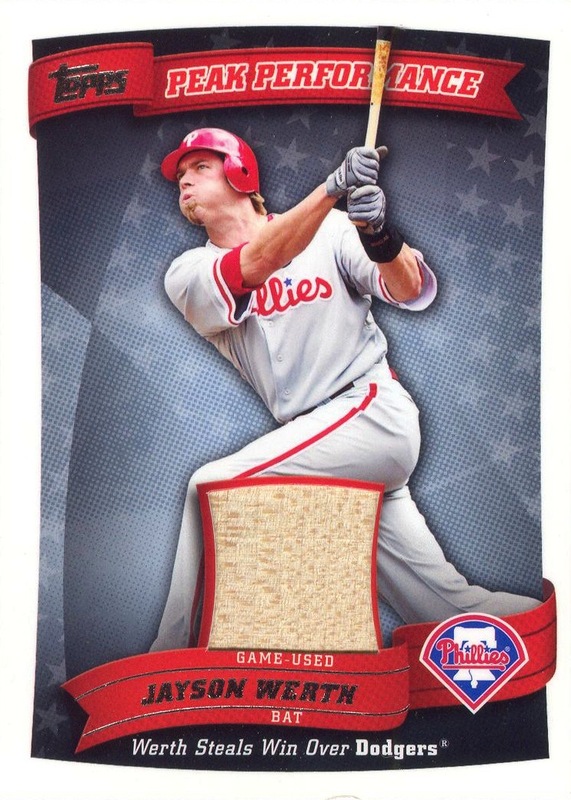 Additional Information: Issued in conjunction with the Phillies’ annual Home Run Derby competition, a home run hitting contest for boys and girls between the ages of 7 and 15, this card utilizes the same design as the 2009 Phillies Team Issue set. 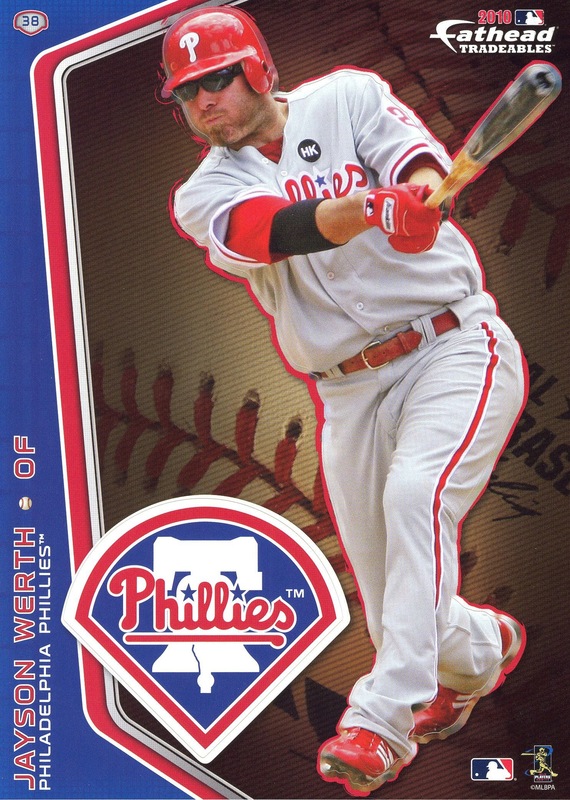 While the Home Run Derby logo on the front and back of the card make it easy to discern from Werth’s card in the Phillies Team Issue, the card also uses a different photo and bears a purple facsimile of his autograph on the front of the card. 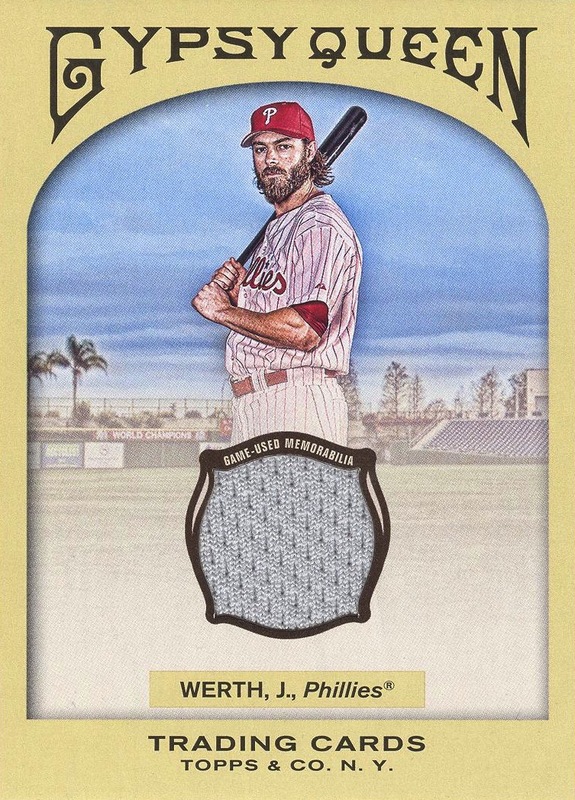 The card is unnumbered; instead, it uses Werth’s jersey number (28) on the back. Sadly, 2011 wasn’t a good year for insert series. 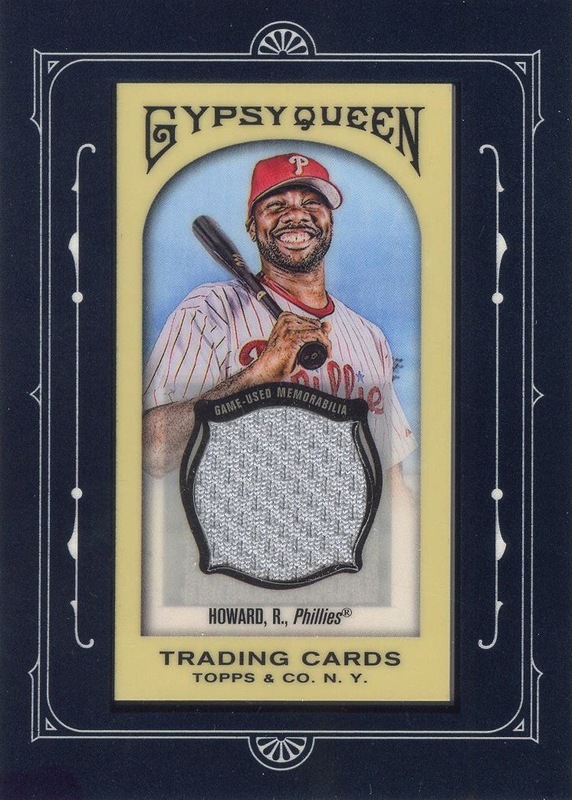 The fact that 2010 had so many really nice insert series really helped to highlight the paucity of really good insert series in 2011. Without even checking the 2010 cards my collection, I can state with absolute certainty that I enjoyed Bowman 1992 Throwbacks, Topps Turkey Red, Upper Deck Biography, and, most especially, Topps P eak Performance — which in some ways was actually a real set as opposed to just an insert series — more than any of the 2011 inserts. 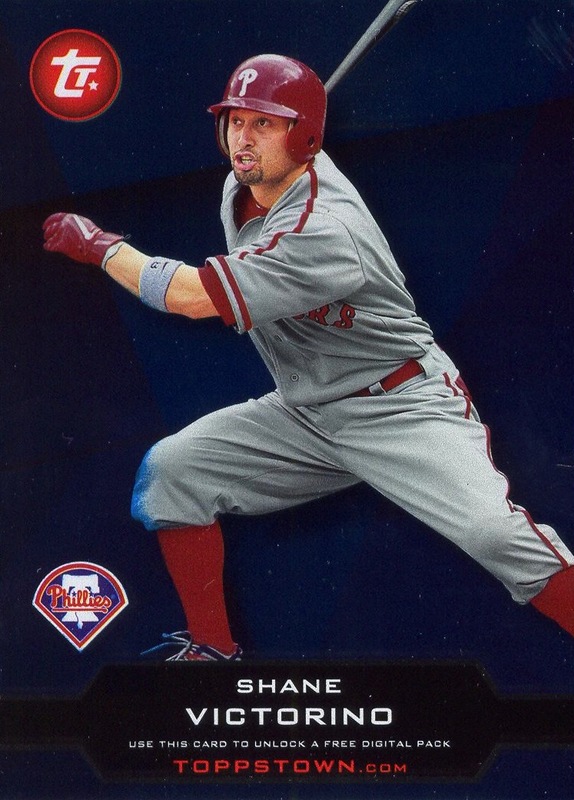 I don’t know if Topps was either just uninspired or lazy in 2011 (I’m inclined to believe “lazy”), but either way none of their insert series this past year was anywhere near as good as the four 2010 series I mentioned. But, before I continue, I guess it’s important to set some criteria an insert series must meet for consideration for Insert Series of the Year. The most obvious of these criteria is number of cards. 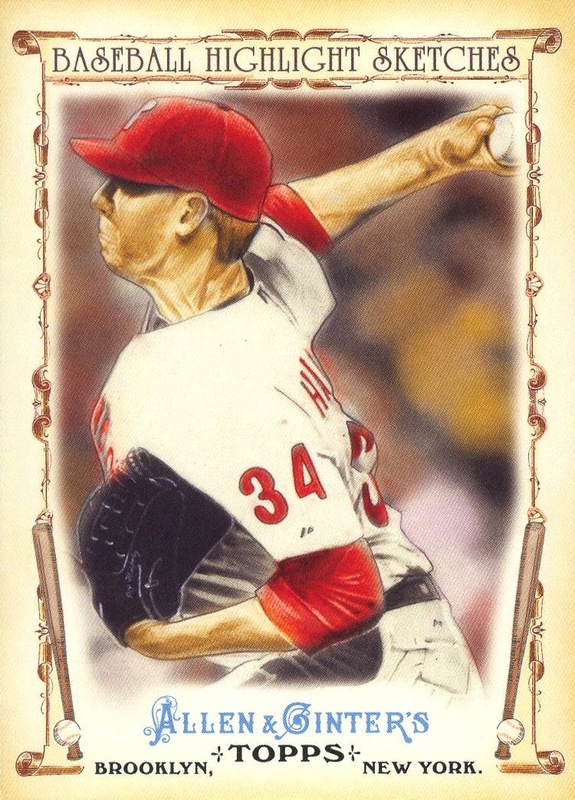 Clearly, one or two cards by themselves is insufficient (sorry, Topps Allen & Ginter’s Baseball Highlight Sketches). So, I’m settling on a minimum of four cards, with the understanding that a four-card Phillies insert series is at a decided disadvantage against a larger series. In this case, size does matter. Along those lines, I am counting similarly designed/themed memorabilia and autograph cards in determining how many cards are in an insert series. For example, when you include all the memorabilia, autograph and autograph-memorabilia cards (but not Diamond Anniversary parallels of any of these cards or double-counting memorabilia cards which potential contain different types of memorabilia), Topps 60 contains 18 cards. If this explanation doesn’t make complete sense, never fear — I’ll include counting methodology with each insert series I discuss. I really wanted this to include this set as a viable contender for the honor, but quite frankly the cards are just too scarce. On the secondary market — for me, that predominantly means eBay — prices for the Ruiz and Domonic Brown cards start at approximately $5 each, and they only get worse from there. By my best guess, this is the most expensive insert series lacking autograph or memorabilia cards to compile. The Diamond Cut Redemptions also suffer from the fact that you had to pay Topps to ship you the card if you happened to win it via one of the Diamond Giveaway Code cards. 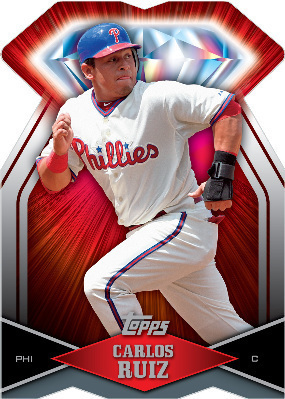 I only have one of them — the Carlos Ruiz you see here — but based on just that one card, they are gorgeous. ToppsTown (I’m basing the capitalization on what appears in the title bar of the browser when you go to the ToppsTown website) gets consideration because its tied for the largest number of “base” cards of any insert series this year. In fact, this nine-card series contains no autograph or memorabilia cards at all, which in combination with the fact that the cards are relatively easy to obtain, gives it some extra bonus points. 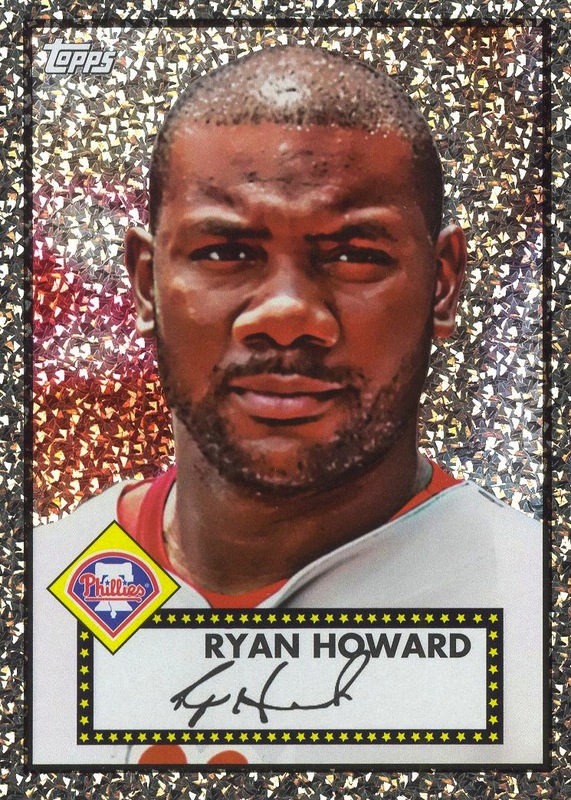 However, even though like the Diamond Die-Cut Redemptions it includes Ruiz, the horribly bland design and reflective foil surface prevent the set from being anything more than an also-ran. Let’s see… Reuse of old 19th-century card design: check. Relatively easy and inexpensive to complete set: check. Decent set size: check. Nice mix of retired and current players: check. On the surface, should be the insert series of the year. However, while I like new cards based on vintage designs, this particular set inspired very little enthusiasm from me. In addition, I’m not particularly fond of non-standard-sized cards — something I noted even while I gave the Parallel Series of the Year to the Gypsy Queen miniatures. It’s possible that I might have liked Kimball Champions more if they were standard-sized, but somehow, I doubt it. This was a series that I desperately wanted to like a lot more than I really did. 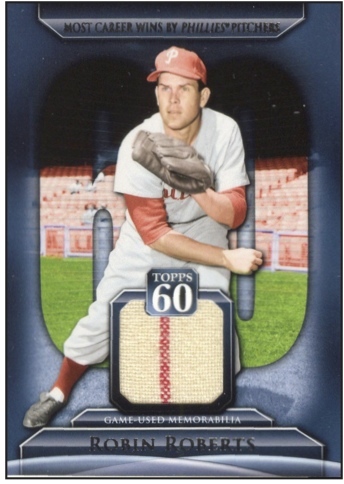 Yes, Topps has really gone to the well an awful lot on this particular design — there’s the original set, three different ’52 Rookies offerings, a Heritage issue, and more than a few inserts. However, 50 years later, this design is still the Holy Grail Topps sets, so it’s understandable that they will continue to use it from time-to-time. 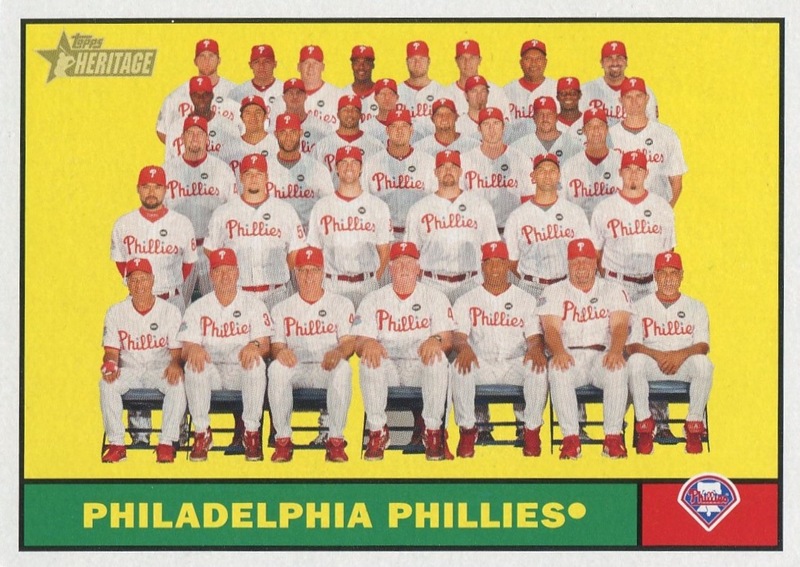 Furthermore, I think there’s something really cool about seeing all those cards placed together, and I am always looking forward to seeing more Phillies receiving a card using the design. Having said that, this particular iteration of the design left me cold. For starters, enough with the capless photos, Topps! Yes, I get it… You need them for your Heritage cards, but these aren’t Heritage cards. Furthermore, decades ago, when you used them regularly, you almost always did so because a player changed teams during the off-season. Utley and Howard have never changed teams! 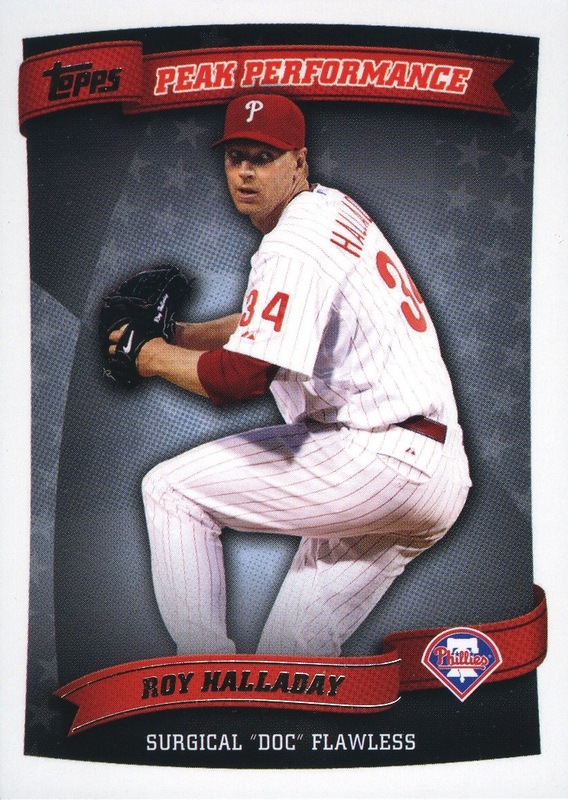 The only player in this series whom you could have conceivably gone capless in a Heritage offering was Lee, and he was a Phillie less than 18 months previously. Stop it! Just, stop it! Oh, and the sparkly finish just doesn’t belong either. On second thought, this series doesn’t deserve runner-up status after all. However, I really needed a therapeutic rant. As I said back at the beginning of this post, the Peak Performance insert series merits consideration as a set onto itself. 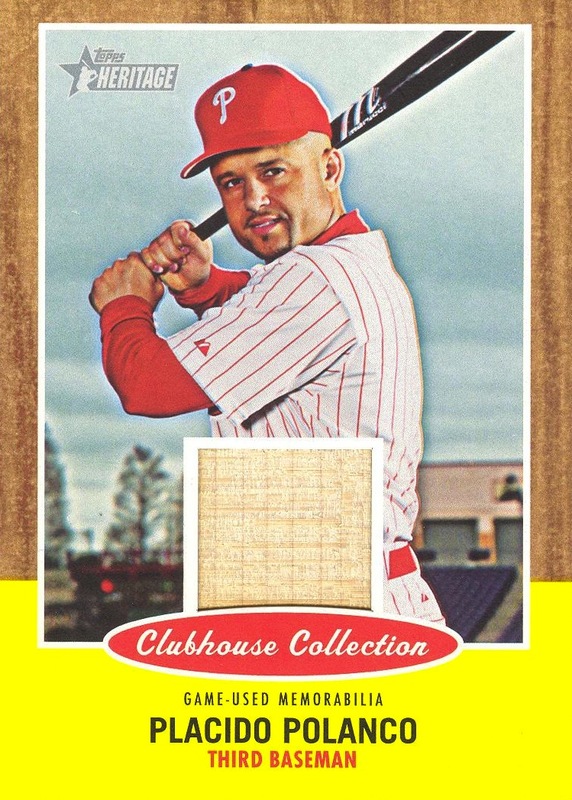 In fact, it’s larger than many of the sets that Topps issues over the course of any given year since the mid ’90s. The numbers above don’t do the series justice. 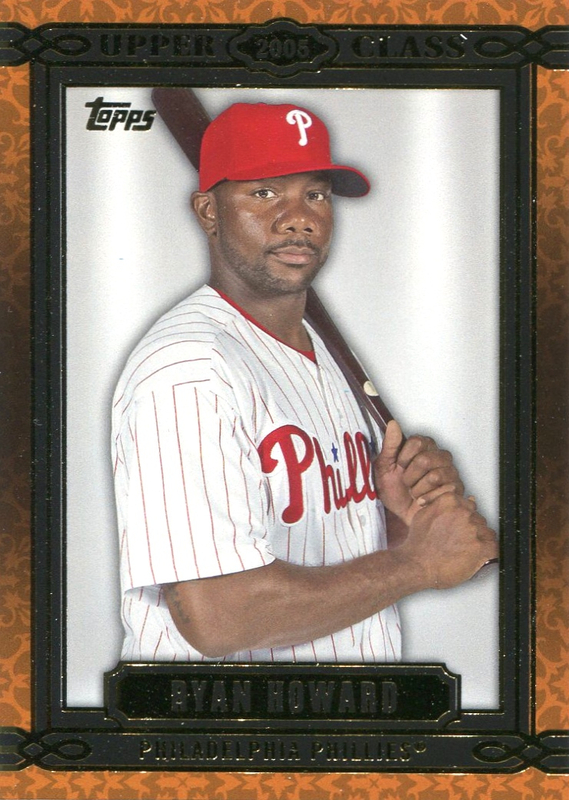 There are players who appear only on autograph cards (e.g., Andrew Carpenter and Carlos Ruiz), players who appear only on relic cards (Jayson Werth and Brad Lidge), and players who appear only in the base inserts (Steve Carlton) — as well as three different Ryan Howard variations. While the base cards are inexpensive and easy to obtain, the same is true of many of the autograph and memorabilia cards as well. 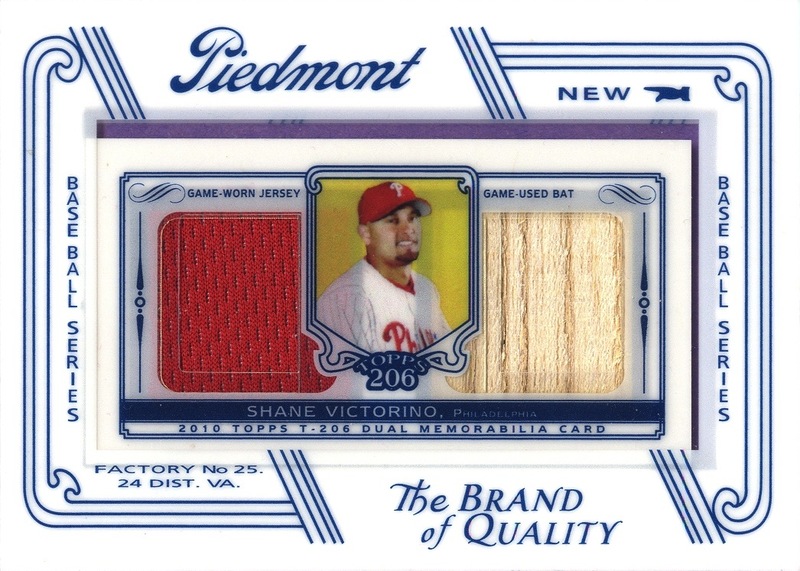 In fact, with the exception of the various Howard and Mike Schmidt autograph cards, you can acquire most of the cards in this set for less than it would cost you to put together a 2011 Topps Diamond-Cut Redemptions Phillies team set. I’ve spent an awful lot of time bashing Topps over the past nine months. However, I will gladly state for the record that I would be a much happier collector if Topps put out more inserts such as the Peak Performance series. While I won’t be able to complete the entire set (a couple of the Ryan Howard cards have print runs of just 50 and the Schmidt memorabilia card seems rather difficult to find), I was still able to collect what I wanted, which was at least one card of each player — even if I couldn’t procure each and every single card. I can’t say the same for Topps 60, or even most of the insert series that come out in a given year.